Neresh Pather was inaugurated as the President of Consulting Engineers South Africa’s (CESA) at the organisation’s 64th Annual General Meeting held at the CESA Seminar in Johannesburg on Tuesday 7th November 2017. Pather, a Statutory Director of Mott MacDonald Africa, currently heads up the Transportation Sector in their Africa Business Unit. He holds a BSc. Engineering (Civil) degree and a MSc. Engineering degree in Transportation and as such has led many transport and strategic infrastructure projects within the company. He has more than 27 years’ experience in the industry. Prior to joining Mott MacDonald, Pather was the ‘CEO of PD Naidoo & Associates Consulting Engineers (Pty) Ltd’ for a period of 12 years. He joined the company in 1997 and held several positions in the capacity of Director before becoming the CEO. Neresh was one of the 7 Founder Directors of PDNA and played an instrumental role in the Mott MacDonald acquisition of PDNA. - Current Board Member of Business Unity South Africa (BUSA). 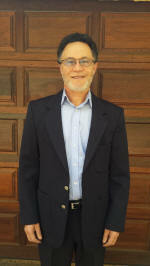 Dr. Steven Kuo research, teach, publish and consult in the area of political risk management and China-Africa relations. He is a Research Associate at GIBS Business School, Johannesburg and Honorary Research Fellow at the Consilium Institute, Chongqing University, China. He is a regular commentator in English and Chinese on issues pertaining to China-Africa relations, risk management and African current affairs. His commentaries have been published in the Guardian (UK), Forbes (USA), Caixin (China), The Paper (China) and Business Day (SA). He was formerly a Political Risk Analyst for Control Risks Group and Lead Consultant for Chinese clients in Africa. He has lectured at Shanghai International Studies University, China as well as at Stellenbosch and University of the Western Cape. His clients include major Chinese infrastructure construction, oil and gas as well as ICT companies that work in Africa, including: Power China, State Grid, China Road and Bridge, China Harbor, CNPC and Huawei. Steven holds BA (hons) and MA degrees from University of Cape Town. He completed his PhD in International Relations at the University of St. Andrews, Scotland in 2013 on a South African National Research Foundation Scholarship. Elekanyani is a qualified engineer; she graduated with a Bachelor of Science in Electrical Engineering from the University of Cape Town. She is professionally registered (Pr. Eng.) with the Engineering Council of South Africa (ECSA) and is a Member of the South African Institute of Electrical Engineers (MSAIEE). She is currently part of Aurecon’s leadership team as a Director responsible for the Energy Market across the African continent. She serves on several boards as a non-executive director and is a member of the Institute of Directors Southern Africa. She is also a member of Phato Investment Cooperative. Her experience in the energy sector includes petro-chemical, working on large scale infrastructure projects, refurbishment projects and green field renewable energy projects. It also includes project engineering, project management, project finance and business development with a power generation background. 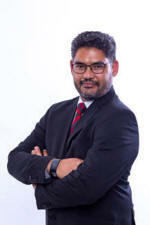 Ricardo is a director at LNP Attorneys, a holistic cradle-to-grave energy, natural resources and infrastructure law firm. In 2018, the firm was recognised by Best Lawyers South Africa, Who’s Who Legal, IFLR 1000 Energy and Infrastructure Guide, Chambers and Partners and Legal 500. They were also recipients of the African Legal Awards Litigation and Dispute Resolution Team of the Year, 2018 and the Transportation and Infrastructure Team of the Year, 2017, and were highly commended as Specialist Law Firm of the Year and CSR, Diversity, Transformation and Economic Empowerment Award, 2018. Ricardo leads a team in the Construction, Infrastructure and PPP department. He advises on all aspects of project delivery from procurement and contracting methodologies to contract administration and dispute avoidance and resolution. Ricardo has also advised on a range of multi-faceted cross-border projects and is known for his practical and commercial approach to problem-solving. - Six (6) years experience in the management (operation and maintenance) of various business units of Shell and BP SA Petroleum Refineries. - Three (3) years as Senior Design Engineer responsible for the planning, design and implementation of capital projects in a water utility (Umgeni Water). - Nine (9) years as Area Manager responsible for the management of wastewater and water treatment, storage and distribution infrastructure including customer / stakeholder relations management. Four (4) years as Operations Executive of Umgeni Water. Rabbi Gideon Pogrund conceptualised and founded the Ethics and Governance Think Tank at the University of Pretoria’s Gordon Institute of Business Science (GIBS). Working with senior business, political and civil society leaders, the Think Tank’s purpose is to explore and influence how South African business can follow a more ethical approach, thereby building trust and in turn helping to secure a more successful, sustainable future for the business community and the country. He is the director of the Think Tank and is a GIBS faculty member and lecturer. He is the co-founder of Ethics Evolution, a consultancy which helps blue-chip corporations improve their ethics management. He holds an MA in Social and Political Science from Trinity College, Cambridge University, and previously worked as a commodity trader for Louis Dreyfus. He served as the Director of Education and Political Affairs in the Office of the Chief Rabbi of South Africa. Dumisani Nkabinde is a professional engineer, and a member of SAICE with more than 14 years’ experience in the civil and construction sectors. He joined SANRAL in 2007 as a project manager based in Pietermaritzburg and has, subsequently, been responsible for key projects in the region which covers the provinces of KwaZulu-Natal and the Free State. He has a BSc-degree in Civil Engineering from the University of KwaZulu-Natal, an MBA and a Master’s degree from Stellenbosch. Prof Willie Tafadzwa Chinyamurindi is an NRF Rated Researcher (Y2) and an Associate Professor within the Department of Business Management at the University of Fort Hare. 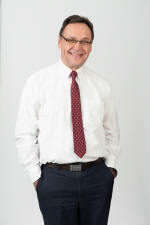 He also serves as the Research Niche Area Leader within the Faculty of Management and Commerce at the same university. He serves on the editorial boards of the South African Journal of Industrial Psychology and the South African Journal of Human Resources Management. With regard to publication experience, he has published articles in a) Acta Commercii; b) Journal of Public Administration; c) Journal of Global Mobility; d) African Journal of Psychology; e) South African Journal of Psychology; f) South African Journal of Higher Education to name but a few. His work has also been featured in newspapers such as: a) the Sunday Times; b) City Press; c) the Conversation; d) Forbes Africa and e) the Daily Dispatch. Shamiso Kumbirai is a Water Engineer with experience in bulk water supply and hydropower engineering across Africa and has been awarded in 2018 the CESA (Consulting Engineers South Africa) Young Engineer of the Year. She works with the fundamental belief that the removal of water as a development constraint and the ability to harness this resource as a tool to help power Africa will positively change the lives of millions. She is also a 2018 Obama Leaders Africa Fellow and Tshwane Global Shaper, a youth-led initiative of the World Economic Forum. Through her work, she was invited to attend and speak at the 2018 World Economic Forum Annual Meeting in Davos. Shamiso is also passionate about advancing women in STEM and since 2011 she has volunteered with WomEng an organisation aimed at empowering the next generation of female engineers. Currently, she works at Kulani Engineering Consultancy, a female led multi-disciplinary engineering company. She holds a Master’s degree in Civil Engineering from the University of Cape Town, which focused on participatory planning of water and sanitation projects. 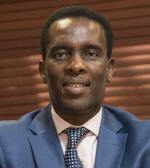 Dr Thulani Dlamini is the Chief Executive Officer of the Council for Scientific and Industrial Research in South Africa. Prior to this, he was the Vice President of Sasol’s Global Strategic Research & Technology and Centre for Innovation and Business Impact. 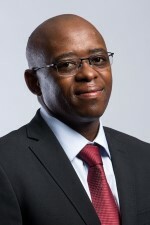 Before joining Sasol he was at the CSIR where he held positions of Group Executive, R&D from 2008 – 2012 and Manager: National Laser Centre from 2005 – 2008. He is a member of the South African Academy of Science. He is a material scientist who holds a PhD in Chemistry (Catalysis) and a Masters in Business Leadership. His current interests include leadership, innovation management, technology transfer and commercialisation, innovation strategy development, R&D portfolio management and national innovation systems. 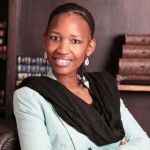 Dr Dlamini holds a number of patents and has numerous publications in international scientific journals. Sibulele Mvana joined Aurecon in May 2017 from Eskom where she held the position of General Manager in the Northern Cape and Eastern Cape. 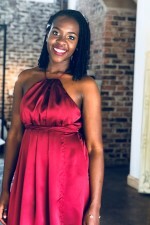 She is a senior reputable female in the engineering industry where she has featured on several domestic and international speaking panels focusing on the changing energy landscape on the African continent. As a consultant, she oversees multi-disciplinary teams of engineers who work in the Energy, Manufacturing and Resources (Mining) markets globally. She is passionate about technological developments specifically in the Energy industry and enjoys challenging young minds about the future of changing energy landscape. 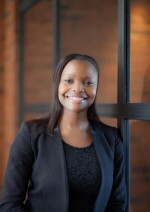 She graduated from University of Cape Town and has completed MBA at Stellenbosch University. After completing a Project design and Draughting Diploma in 2007 Amanda joined Transnet Projects as a Junior Draughtsperson. Whilst working she has studied for a National Diploma in Civil Engineering through the University of South Africa (UNISA). Amanda is now employed at Mott MacDonald in the Water Division. Over the years she has gained design experience in earthworks, sewer, water, roads and civils. She has knowledge in the provision of services to urban township developments and further experience in Construction Monitoring as the Lenders Technical Advisor. 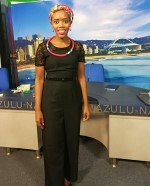 She has been an active member of the Young Professional’s Forum since 2008 serving on the KZN regional committee. Amanda is currently the National Chairperson of CESA YPF and is also a member of the GAMA YPF Steering Committee. 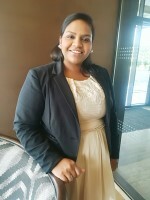 Jeshika Ramchund is a Professional Engineer employed as a Senior Engineer for the Developments Division at Bosch Projects (Pty) Ltd in South Africa. Jeshika has 10 years of experience in the planning, design and implementation of municipal infrastructure for public and private sector clients. Jeshika is currently Chairperson of the Group of African Member Associations (GAMA) Young Professional’s Forum an Executive Committee member of GAMA, member of FIDIC YPF Steering Committee and FIDIC’s Conference Advisory Group. Jeshika has been actively involved with Consulting Engineers South Africa (CESA) since 2008. Jeshika has served CESA in the capacity of Chairperson of the Young Professional’s Forum, a Council and Board Member from 2014 to 2016. Jeshika was selected for the 200 Young South African’s to watch list for 2018 by the Mail and Guardian. With involvement in projects focused on service delivery, Jeshika sees herself as a pro-active and innovative engineer, working with Clients to improve the lives of the people she serves. Jeshika has delivered presentations at CESA, GAMA and FIDIC conferences and continues to enhance the role of young professionals in the Consulting Engineering space. David joined Industry Insight in February 2015 as a senior economist, and is responsible for the compilation of several industry reports including the Construction Industry Forecast Report, the monthly Construction Monitor as well as the Company Results Monitoring Service report, which focuses on listed construction companies. David is the go-to expert in the local construction industry and delivers several presentations to key stakeholders in both the private and public sector. David uses his strong background in macroeconomics and econometrics to make sense of all the data that is available to untangle what is an interesting and important sector within the economy. 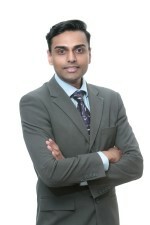 Selvan Pillay has obtained a Bachelor of Science Degree in Civil Engineering at UKZN in 1996 and a Master’s of Science in Coastal Engineering and Port Development at IHE Delft, The Netherlands, in 2002. He has worked for the Transnet National Ports Authority (TNPA) for 23 years where he started his career at the Port of Richards Bay as an Assistant Engineer in 1996. Selvan then moved to Port Elizabeth to be part of the project team during the construction of the Port of Ngqura as the Resident Engineer. He then moved to the Port of Durban as a Project Manager and later became the Manager for Planning and Development. 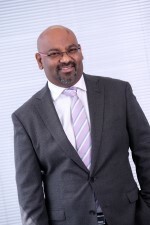 Selvan Pillay is currently the Senior Manager: Physical Planning at the TNPA Head Office. Selvan is also registered as a Professional Engineer with the Engineering Council of South Africa. Brendan Bournes-Harper is a local with some international experience. He was a bursary candidate and worked for the then City Engineer’s Department of the Pietermaritzburg Municipality and toiled in the transition stages from 1995 – 2000, obtaining professional registration in 1998. In late 2000, went abroad and worked for the Irish Quantity Surveying Firm Bruce Shaw Partnership (now Line Sight). In mid-2005, Brendan moved to ESBI an International Energy Company and contributed to the conversion of numerous outdoor substations into indoor containerised units. He returned to South Africa in 2011 and began working for the KZN Department of Public Works. After identifying and implementing changes to improve the quality of services, he was seconded to the Head of Department’s Office to amongst other commitments manage the development of the KZN Infrastructure Master Plan. as well as the Master of Science (MSc) in Mega Projects Management. He is a Certified Associate CAIB (SA) and Fellow (FIBSA) of the Institute of Bankers in South Africa. Alan also completed the Advanced Management Programme (AMP) at Harvard Business School. He was appointed as CEO of SACCI in July 2015. Clint Koopman graduated from the University of Cape Town with a BSc Engineering in 1993. In 1998 Clint registered as a Professional Engineer and in 2006 as a Professional Construction Project Manager. Over the years, Clint has gained sought-after experience as an engineer at a number of highly-reputable consulting engineering firms, both in Namibia and South Africa. Clint’s has an almost insatiable thirst for knowledge. His personal pursuit of actively acquiring new and innovative methodologies in practical and theoretical problem-solving has ensured that he is always a the very leading edge of his profession – and that is why he is such a well-rounded Engineer who can speak with authority on most disciplines within the Civil Engineering and Project Management space. He is thoroughly passionate about Structural Engineering - specifically the art and science behind bridge design, and has completed many projects in South Africa, Namibia, Zambia, Uganda and Botswana as well as in Germany and France. Clint’s association with NAKO ILISO began in July 2001, when he was appointed as company director responsible for the Free State, Northern Cape and North-West Provinces. In 2005, he was promoted to Chief Operating Officer of NAKO ILISO and in October 2007, was appointed Chief Executive Officer of NAKO ILISO – at the age of 36 years. After 11 years at the helm, Clint elected to step down from his position, to hand the reigns over to others to lead the company, and now heads the Structures Business Unit of NAKO ILISO. Clint has proudly served on a number of boards and industry organisations. He was the convener for black business during the negotiations for the new Construction Sector Charter and is still a member of the technical review committee of the Construction Sector Council (CSCC). Clint was part of the Black Business Council in the Built Environment (BBCBE) delegation who provided valuable input into the new Preferential Procurement Policy Framework Act (PPPFA) regulations. In March 2017, he was elected as President of SABTACO, an organisation that he continues to lead with distinction. Clint is instrumental in making valuable contributions to the development of policies that seeks to redress the apartheid legacy that still hinders the industry. Clint’s drive and passion in the engineering profession often spills over into the active role of transformation within the construction sector, especially in the continual development of young engineers through effective mentorship. Clint is a great advocate of ethical leadership and believes that everything he does must largely be to the benefit of the broader community which he serves.Clint is a committed family man, celebrating 25 years of marriage to his lovely wife Liesle and is the loving father to sons Kyle who is 24, and 19-year old Josh. Ishmail Cassiem is a Manager in the Construction Industry Performance Programme at the Construction Industry Development Board (cidb) responsible for performance improvement, development of best practices, standards and health and safety, quality and environmental policies in the construction industry. He holds an MSc in Project Management. He has been working for civil engineering contractors, the Council for Scientific and Industrial Research (CSIR) and a training company and has 30 years’ experience in the construction industry. He participates in various committees at the South African Council for Project and Construction Management Professions (SACPCMP) and the South African Bureau of Standards (SABS). Pieter Fourie started his legal career as a public prosecutor and subsequently worked as a magistrate, legal advisor in local government. After serving pupillage at the Johannesburg Bar he practised as an advocate for his own account before joining the Engineering Council of South Africa (ECSA) in 2007. His main function at ECSA was the enforcement of the Code of Professional Conduct through leading investigations on improper conduct complaints, and prosecuting in disciplinary hearings. He was also involved in the identification of work process from ECSA’s vantage point. He joined the Council for the Built Environment in 2013, and continued his involvement with the identification of work process from a CBE perspective. He studied at UNISA, RAU and Wits and relax by reading crime novels.